I found this second book in the Secret Coders graphic novels series by Gene Luen Yang and Mike Holmes more enjoyable than the first, which was fine but felt a bit flat to me. Maybe I needed to know the characters a bit more, and here, in Secret Coders: Paths & Portals, the characters and story get more developed. As with the first book in this series, the story integrates Logo programming language, as the protagonists — Hopper, Eni and Josh — discover a portal to an underground “school” beneath their existing school (Stately Academy), and the place is full of programmable “turtles.” The school janitor is actually the professor of this Bee School, now closed but once a fertile space for young people to learn computer programming. The story revolves around the kids learning about programming, and making the turtles do some tasks, as the principal of the regular school uses the Rugby team to steal a turtle and discover what the kids and the janitor/professor are really up to. At the end of each section, the reader is asked to consider some simple programming logic before moving onward. There’s always the danger in books like Secret Coders that the “teaching” will get in the way of the “story,” but the writers’ sense of humor and lively illustrations provide a nice balance. Yes, you learn some basics of Logo programming. But not at the expense of an entertaining read. 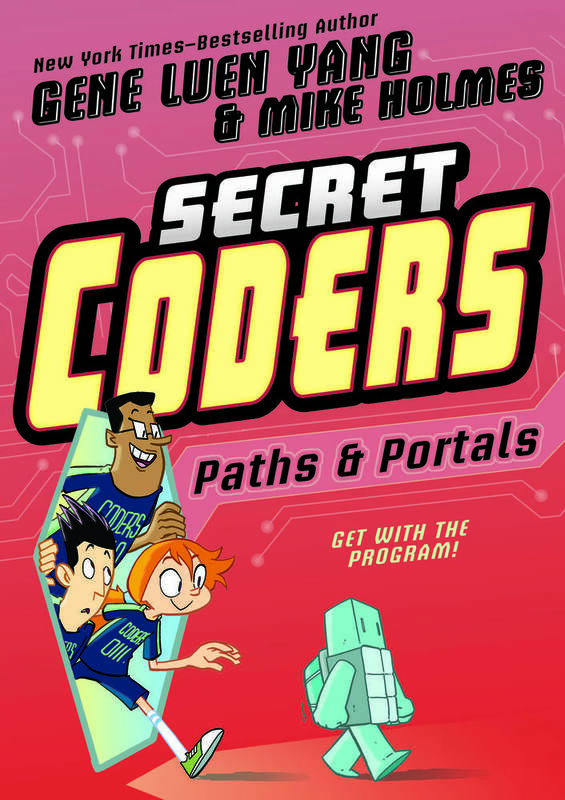 I’m looking forward to the next chapter in the Secret Coders books, and wonder where I can get my own Secret Coders t-shirt that the kids rock in the book!